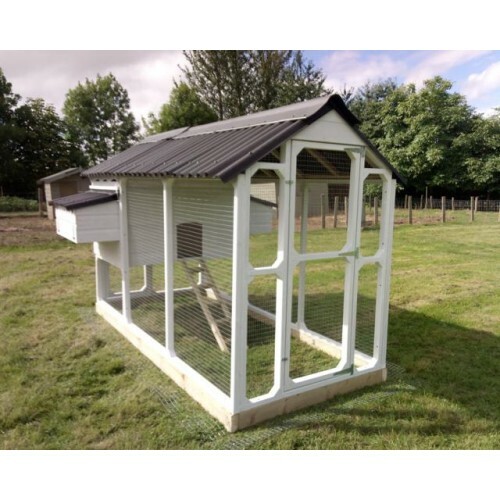 Chicken House with walk in roofed weatherproof Chicken Run is suitable for Chickens Bantams and Laying Hens an easy clean fox proof Chicken House that looks superb in any setting with it's more traditional look ! 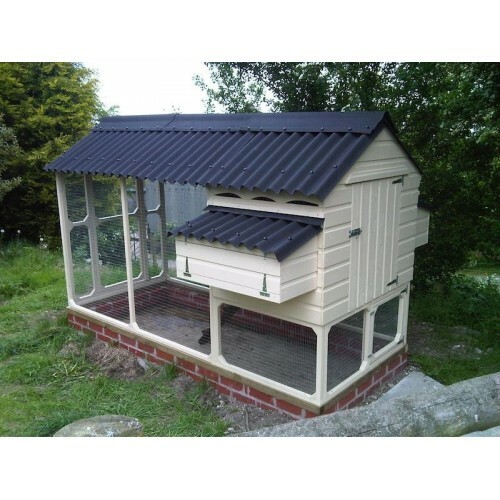 The Chicken House, Chicken Run and Nest Boxes all have Onduline roofing which is the preferred roofing for Poultry as it does not harbour parasitic red mite unlike felt plus it looks great and lasts a lot longer than felt, it also allows vital air circulation through the Housing. 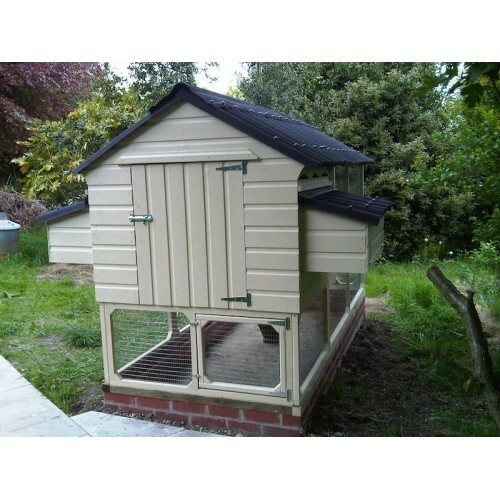 Additional Option - VSBi Automatic Door Openers can be fitted inside the Chicken House and will take care of opening and closing the pop hole door. 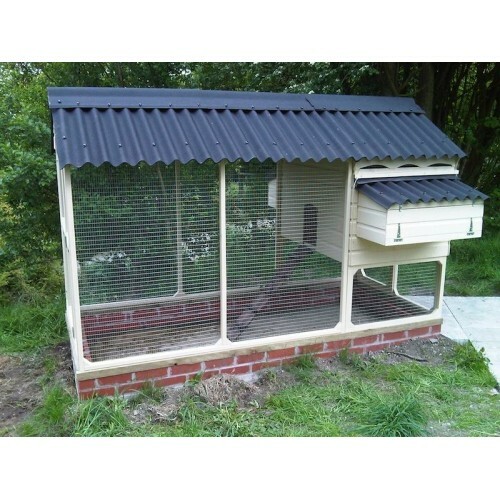 Gorgeous chicken house and brilliant workmanship. 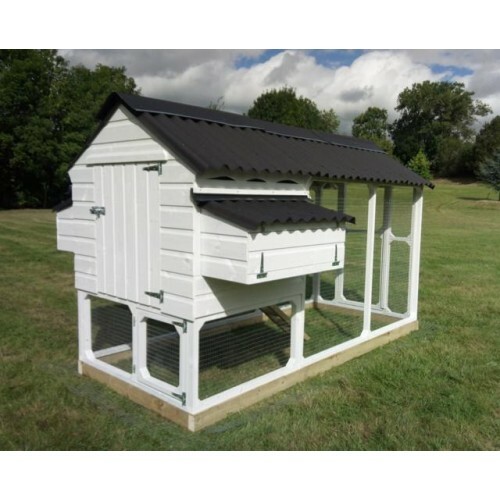 I looked for a long time before deciding to buy this one, this is my 3rd hen house and definitely the best. 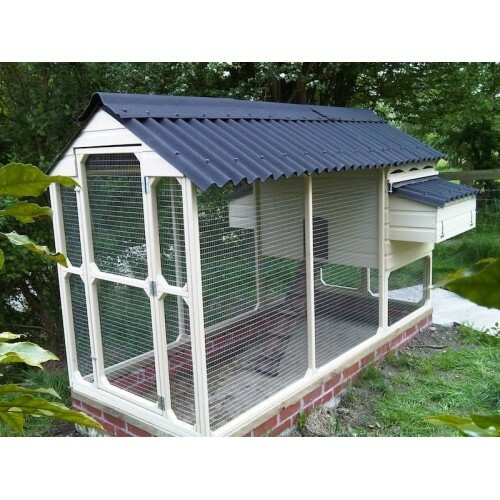 I can walk in the run and my hens stay dry with the roof cover.easy to clean and no bending ! 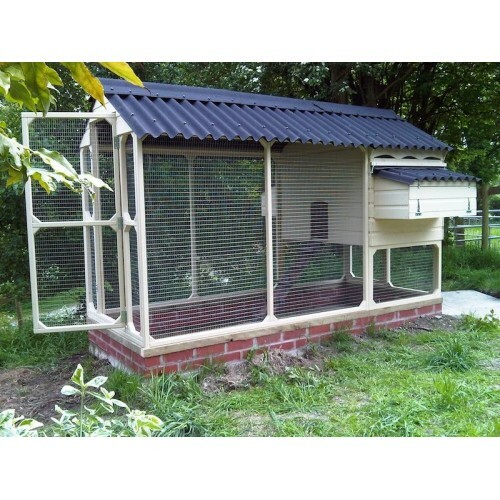 Thank you for answering my many questions and delivering when you said you would. Annie .. 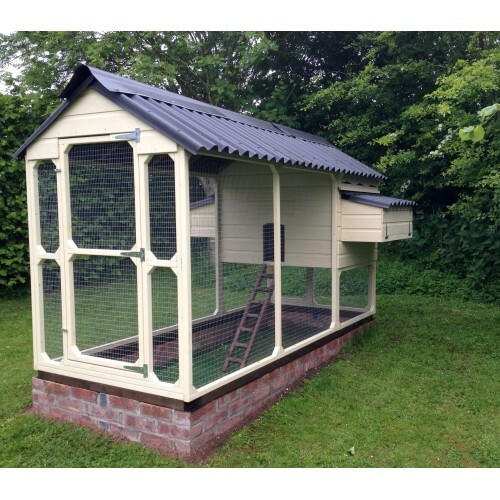 Fantastic looking and performing Hen House, everything is spot on, detail and finish, really pleased nothing out there touches these guys work..